Website Localization 101 - Niki's Int'l Ltd.
Website localization is a marketing tactic that is rapidly gaining popularity amongst businesses who want to reach diverse target audiences. The internet is a vast platform that allow people to connect with others despite the time zone or region in which they are located. With this tool at our fingertips, online businesses can increase traffic, entice customer engagement and create endless conversions simply by having their website localized. Selling your products to linguistically and culturally diverse markets online is the biggest opportunity for businesses to substantially grow in a short amount of time. Neglecting the impact a multilingual website has on your business can put you at a disadvantage and a step below your competitors. The top ten languages make up for 77.5% of internet users, the remaining 22.5% are speakers of various other languages. Currently 25.5% of internet users speak English, however it only accounts for a small percentage of the total languages used online. This fact alone displays the opportunity for businesses to attract diverse target markets who speak languages other than English. In the past 17 years Chinese internet users increased 2,262.8%, Spanish internet users 1,516.1%, Arabic internet users 6,805.9% and Russian internet users 3,272.7%. This information confirms website localization is the up and coming marketing strategy for online business across the spectrum. When a business has their website professionally localized it means that all the content including text, images, colors, functionality and overall aesthetic is modified to entice and attract shoppers who are culturally diverse and who speak a different language. Website localization allows online businesses to meet the language, cultural and other requirements of a specific target markets locale. Without proper website localization, companies trying to expand into diverse markets fall short due to a lack in minor variations or adaptations. 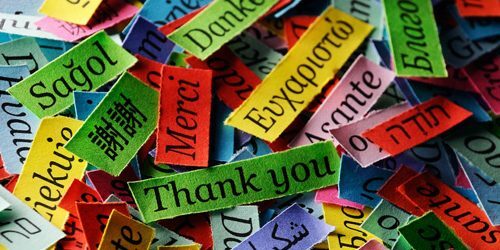 Languages and cultures greatly vary, a marketing message and campaign created in English in most cases will not directly translate into other languages. Just as content doesn’t directly translate neither do images, ideas or colors. Professionals should be the only ones handling the project of localizing your website, this ensures the proper amount of translation and adaptation is used in the conversation of your site. It’s easy to create poor marketing strategies when you’re not aware of the language and cultural nuances of the market you’re targeting. This is why it’s imperative that a professional language service company (LSC) is hired to successfully complete your website localization project. Localizing your website allows shoppers to feel at ease when navigating through your site because they can understand and relate to the information, images and marketing displayed. When accommodations are made in consideration of the shopper, it makes them feel catered to, in turn gaining their trust and turning them into return customers. When a person feels good about a purchase, they tell their family and friends which is organic marketing. Word of mouth is the best form of recommendation, by taking the initiative to have your website localized you’re investing in the well being and longevity of the customers buying from your site. In addition to an increase in customer base your sales will skyrocket once your website has been localized because it’s now available and understandable to your target market. This gives your business a competitive edge, having more that one market you’re targeting increases the amount of people you reach boosting your sales and keeping you a step ahead of your competition. Website localization is a smart, culturally savvy and modern form of marketing. The world is oozing with diversity, embracing what is different can really maximize your business ventures in this day and age. PreviousPrevious post:Over-the-Phone (OPI) Interpretation For Customer Service CallsNextNext post:When is it Best to Work With an On-Site Interpreter?